I don't know how I lived without this! I always seem to have a lot of keys that jingle and get tangled in my purse. I also tend to put them down while attending to things in my hectic life and lose track of them. Not only do I not have to worry about misplaced keys anymore, I love how this feels in my hand. And because of the shape, it's easier to find in my purse. Thank you for this wonderful invention! I bought this for my wife. She loves it. The sleek design and the way the keys are not a clump and noisy anymore is fantastic. 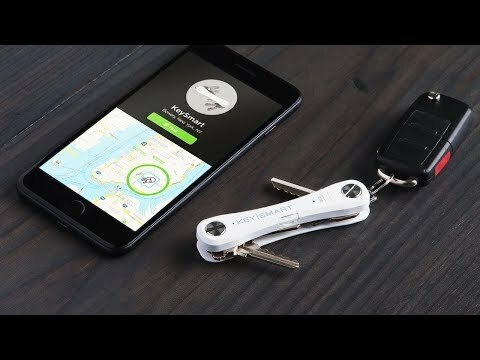 Great key and phone finder, too! It isn’t my keys that get lost but my Phone disappears like magic off and on all day long. I always have my keys in my pocket so it was the best time saver I ever bought. I used to spend hours a day looking for my phone. Well no more!! I just pop my key Smart out of my pocket and hit the button twice and my phone sings out loud!! Under papers and inside the sofa and even the next room. limited usage, would prefer something much smaller. 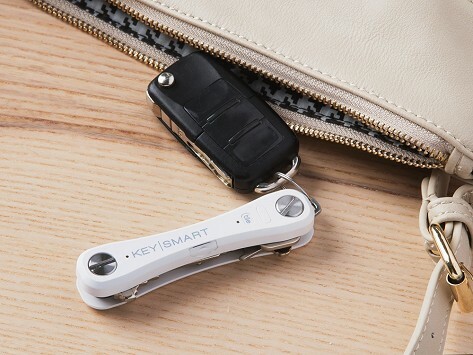 you cannot use it with new car keys that have a fob and the keys that do fit bent when used in the organizer.